I am very excited to have just listed a modern and private penthouse at 401 333 1st St E in Lower Lonsdale, North Vancouver. This is the one you’ve been looking for! Welcome to Vista West at Hamersley Park, one of the most popular modern apartment buildings in Lower Lonsdale. From this location, you’re a quick walk to the Lonsdale Quay Market, the Sea Bus, restaurants, breweries and the waterfront pier. Vista West is a fully rain screened and well maintained building with a pro active strata. Recent building updates include a new roof, perimeter fencing, balcony updates and landscaping. #401 is a 2 bed and 2 bath penthouse level home with a private outlook facing the quiet side of the building. 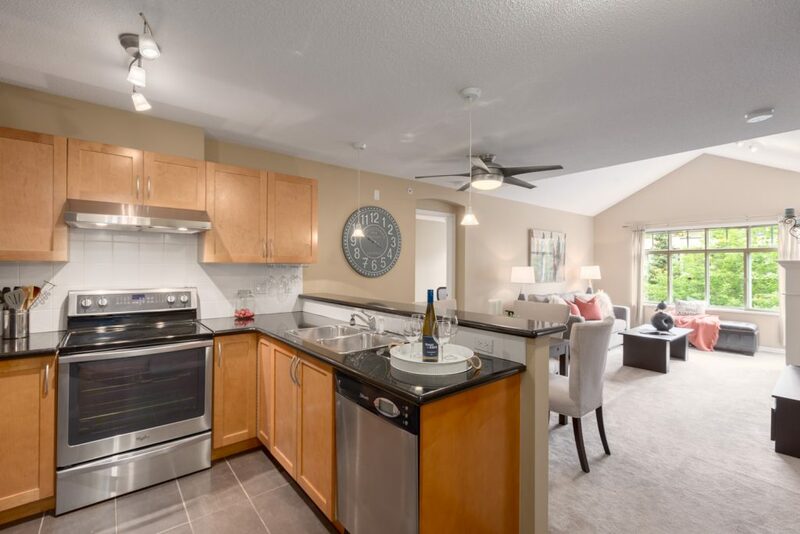 Notable features include vaulted ceilings, gas fireplace, private balcony, updated appliances, two secured underground parking stalls and one storage locker.